The Federal Housing Administration has taken steps to reduce some of the regulatory burdens that belabor the lending process, releasing two mortgagee letters Tuesday with updated guidelines on home warranty and inspection requirements for single-family FHA loans. FHA Commissioner Brian Montgomery said the moves align with the administration’s goal streamline and update guidelines in an effort to reduce regulatory barriers. How to get rid of Mortgage Insurance on a Kentucky Mortgage Loan. Eliminate FHA Mortgage Insurance On Your Kentucky FHA Loan. You must have 12 payments paid into the Chapter 13 before you can apply for a mortgage loan. The payments must be made on time for last 12 months or after 12 months if you have been in longer, so no late payments to the Chapter 13 while in it. You have to ask permission from the courts to seek a mortgage loan. They usually grants this. I have never not seen them grant it. 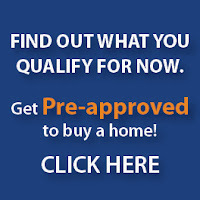 You have to qualify with the new house payment along with Chapter 13 payments and other debts listed on credit report. Debt to income ratios usually center around 31 and 43% respectively, meaning the new house payment should not be more than 31% of your gross monthly income and your total house payment and debts listed on credit report along with Chapter 13 payment should not be more than 43% of your total gross monthly income. Credit scores: Most FHA lenders I work with will want a 620 middle score. You have three fico scores from Experian, Equifax, and Transunion, and they throw out the high and low score and take middle score. For example, if you had a 598, 679, and 590 scores respectively for all three bureaus listed above, your qualifying score would be 598. There are some FHA investors that I am set up with that will go down to 580, but I have seen in my past experiences 620 will get you a better deal and far greater chance of closing on your loan with FHA. Down payment: For FHA loans, you will need to have at least 3.5% down payment saved up. It is extremely hard to find a no money down loan program to get you approved for a mortgage while you are in a Chapter 13 plan. FHA and USDA are really the only two options that I know of that offer financing for a borrower with a current Chapter 13 Bankruptcy plan plan, so keep that in mind. Conventional loan program offered by Fannie Mae will not allow a mortgage loan for someone in a Chapter 13 Bankruptcy plan. On USDA loans, it is possible to get 100% Financing after you have paid into the plan for 12 months with a good pay history. The credit scores needed for a USDA loan approval really need to be above 640 in my past experience in getting them approved. A lot of USDA lenders will say they will do down to 620, but it is very difficult getting them approved. Best to get your scores up to increase your changes in qualifying for a USDA loan. There is not much that difference in getting your scores up to that range if you are at a 620 score now. Typically, USDA-eligible properties are located in rural areas. It is a mistake, however, to think that you have to live far out in the country to qualify for a USDA loan. USDA-eligible properties are often located near urban areas. A property’s eligibility is determined by its location with respect to USDA’s map of eligible locations. The USDA program also places limits on your household income based on median earnings in an area. If you exceed that limit, you can’t obtain a USDA loan. The FHA, by contrast, does not place limits on household earnings. The FHA, however, does establish a maximum limit on the amount of money that can be borrowed through the program. In order to get you pre-approved for your max loan amount, I will need the following items from you. This is a free process and I will give you a copy of your credit report for free! Your loan pre-approval is usually good for 90 days.